Learning to Listen: The Velvet Underground’s “Once Lost” LPs | Sounding Out! 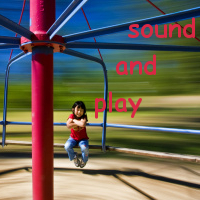 This week, we’re delighted to welcome to Sounding Out! a writer whose work we’ve been eager to feature for a long while — Tim Anderson, Associate Professor of Communication and Theatre Arts at Old Dominion University. Tim has written extensively on popular music and sound, and is currently a leader of the Sound Studies Scholarly Interest Group at the Society for Cinema and Media Studies, one of the scholarly groups associated with the SO! Thursday stream. It’s such a pleasure to present this sensitive and personal account of the Velvet Underground — and of learning to listen. 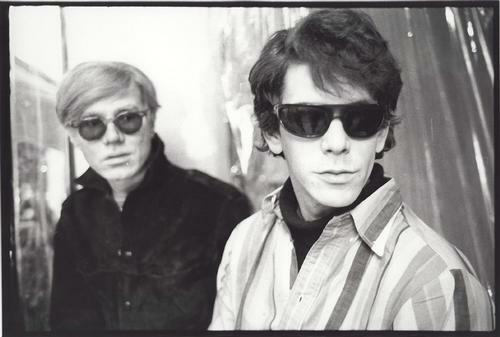 Lou Reed and Andy Warhol as the respective definers of audible and visual cool for misfits and undergroundlings for the last five decades. Reports of Lou Reed’s death came on a Sunday. Even though he was 71, it was still a shock. To many present-day friends and colleagues Reed’s Velvet Underground are a band that they understand are important, but just don’t get. 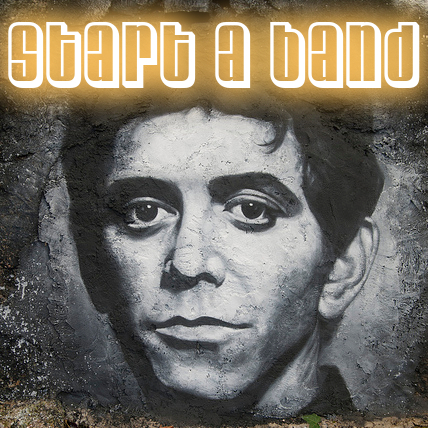 In the case of an artist like Lou Reed, an artist who never had a top ten charting single and only two gold albums, you could see their point. Still, I obsessed. Rattled from my travels in Washington, DC, I called my wife and we talked about his music for about an hour or so, after which I took a long walk to the Washington Mall. It was a sunny fall day, October 27, 2013, and I walked past the Smithsonian with its prominent memorials, such a clean space for so much past, some of which the nation has buried and some of which we don’t even bother to think about. The deceased have always done the most important work in our nation’s capital. This influence is the reason that the collective mourning of such a marginally popular figure swelled to such a crescendo. However, to paraphrase the words of one of Reed’s most storied rivals, Lester Bangs, on the death of John Lennon, this was not the mourning of a person. Most of us never met Lou Reed. Instead, we were mourning ourselves. To lose Lou Reed was tantamount to losing the author of a proverbial urtext of a kind of secret rock language that has been passed down since the late 1960s on how to be cool. It was a language of composed of style, gestures, and reactions. It was one that was filled with a fun that was not of the obligatory “hey-dude-let’s-party!” party. The Velvet’s overdriven guitars repeatedly underscored that teenage kicks included other aesthetic pleasures such as contemplation and melancholy. Most importantly, the Velvet Underground offered a language of listening passed down from one rock underground to another. Because pop fans of all stripes must learn how to be a fan, learning how and what to listen to is a taste-defining social exercise. Simon Frith once explained that, for him, “one aspect of learning how to be a rock fan in the 1960s was, in fact, learning to prefer [original records made by black artists of the 1950s] to covers [made by white artists of the same era]. And this was, as I recall, something that had to be learned [by Frith]: nearly all the records I had bought in the late 1950s had been the cover versions” (Performing Rites: On the Value of Popular Music, 1996). In my case, learning to listen also meant learning what to listen to while listening to The Velvet Underground, a process involving peers, record clerks, friends, musicians and reviews. 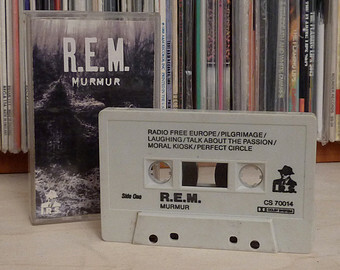 As a young rock fan who began first collecting cassettes —that’s right, cassettes —this process would begin through an obsession with R.E.M.’s Murmur, a cryptic, odd inscrutable cassette with no lyrics, a black and white picture and layers of reverb. The copy I found had been severely discounted in a ma and pa record store in Globe, Arizona. In Summer 1983 I read a rave review in a copy of Rolling Stone and at 14 had purchased a cassette unlike anything I had ever heard; I wasn’t sure I enjoyed it. Why did so many reviewers seem to fall over themselves about this record? To solve this puzzle, it meant learning how to listen to music invested in tone rather than ostentatious chops. It meant paying attention to drones rather than solos. It meant following those features to Velvet Underground records after peers, record clerks, friends, musicians and reviews made a point that Murmur reminded them a bit of VU records. Murmur was also the first record I ever purchased that embraced what Jacob Smith so wonderfully identifies as a distinctive trait of all Velvet Underground records. 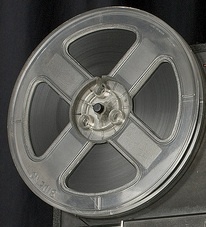 For Smith, these pop records are part of a genealogy that “stress evocative timbres, idiosyncratic voices, and signature sounds over structural or lyrical complexity.” The distillation of this pop ethos onto record was one of the reasons that so many musicians whose abilities may have been limited but whose tastes tended toward the poetic found The Velvets so influential. As Jonathan Richman explained, “I didn’t start singing or playing till I was 15 and heard the Velvet Underground. They made an atmosphere, and I knew that I could make one too!” (Quoted in Greil Marcus, Lipstick Traces: A Secret History of the Twentieth Century, 61). Indeed, Smith notes that the deceptive complexity of VU Records “can be found more on the level of timbre than in musical structure or instrumentation” and “lyrics often encourage a blurring of listening and touching”; his post actually reads like many of the conversations and reviews surrounding R.E.M.’s debut LP. The same could also be said of records released by other 1980s and 90s artists such as The Pixies, My Bloody Valentine, Opal, Mazzy Star, Radiohead, The Dream Syndicate, Galaxie 500, The Rain Parade, Green on Red, New Order, Joy Division, The Feelies, Spacemen 3, Sonic Youth, The Pretenders, The Sisters of Mercy, Ministry, The Jesus and Mary Chain, and The Violent Femmes, to name but a few who drew water from the Velvet Underground well. Bands sonically inspired by the Velvets often providing feedback before solos, drummed without cymbals, and portrayed dark themes sung in monotones that sounded sophisticated and obscure. However, actually hearing a Velvet Underground record in 1983 and 1984 was a significant problem for newer fans, as their MGM catalog was out of print. Many understood these records to be effectively buried by label president Mike Curb’s infamous axing of the act from MGM along with seventeen others who allegedly promoted and exploited “hard drugs through music” (Tiegel, Eliot “Mgm Busts 18 Rock Groups.” Billboard, November 7 1970, 1, 70). As Lou Reed himself once noted, “it’s depressing when you’re still around and your albums are out of print.” I have often wondered if this was one of the reasons that The Velvets catalogue would have such a profound effect on so many of us. Sure, I had found a copy of Loaded, the band’s fourth official release, but its bright tones had none of the subversive menace that so many reviewers alluded to when speaking of the Velvets. Even in a mountain town in Arizona, I had a better chance of finding used copies of The Grateful Dead’s Wake of the Flood or Blues for Allah than I did The Velvet Underground and Nico. In other cities, in other record stores, when I did find those records they were used and prices started at $15 and up. They were records I simply could not afford to listen to. All that changed after 1985, when every MGM Velvet Underground record would appear in my life for less than $25. Bill Levenson’s efforts as Polygram’s then A&R manager to reissue the buried and lost MGM catalog on Verve provided me and every other young person who had only “heard of The Velvet Underground” the chance to finally to listen to all of these records at once. Indeed, the moment of the catalogue’s reissue was simply a sonic flood, one where sounds filled in gaps that had been cut deeply by conversations, descriptions and my own imagination. Writing at the time about these reissues and the unveiling of a lost album’s worth of material that would be titled V.U., David Fricke argued that “rock historians and fans alike owe Bill Levenson, the executive producer of V.U., a debt of thanks for resurrecting these tracks and for giving the band’s first three LPs the proper reissue they’ve long deserved. At $5.98 list price, The Velvet Underground and Nico,White Light/White Heat and The Velvet Underground are essential purchases —certainly essential listening for any study of Seventies and Eighties punk evolution. As for V.U., the Great Lost Velvet Underground Album is no longer lost. It is simply great” (Fricke, David. “The Velvet Underground – V.U.” Rolling Stone, March 14 1985). Is it too much to suggest a that the pent up desire to hear a secret history sparked by The Velvet Underground’s reissues created the 80s/90s iteration of “alternative rock”? Perhaps, but history is filled with desires asserted, accepted and denied. Indeed, most of those aforementioned 80s alternative acts I came into contact with had been performing and recording and releasing records years before 1985. 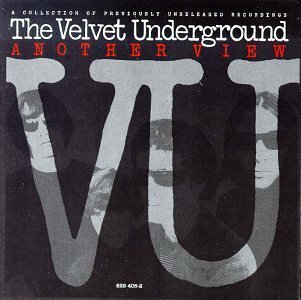 However, there is no doubt that the VU reissues turned a number of ears predisposed to hearing in a certain way onto new ways of listening to the Velvets concentrated doses of moody darkness, modes that earlier Velvet Underground fans simply had little access to. Ignoring the impact of the sonic flood of VU material that fell upon my ears during this period turns away from a specific history of listening that, while personally unique, was an opportunity available to so many of my contemporaries. Indeed, if sounds have histories because their traces persist, then listening must have histories guided partially by testimonial. To hear these histories we might ask ourselves to remember how, why, and with whom did we listen, and to trade in this information. If we did so, we might better understand how we learned to listen: especially what to listen to and why it was important. 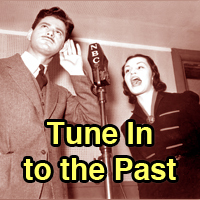 And, without these testimonials of our pasts as listeners, we just may lose sound’s crucial other half. Tim J. Anderson is an Associate Professor of Communication and Theatre Arts at Old Dominion University where studies the multiple cultural and material practices that make music popular. He has published numerous book chapters, refereed journal articles, and two monographs: Making Easy Listening: Material Culture and Postwar American Recording (University of Minnesota Press, 2006) and Popular Music in a Digital Music Economy: Problems and Practices for an Emerging Service Industry (Routledge, 2014). 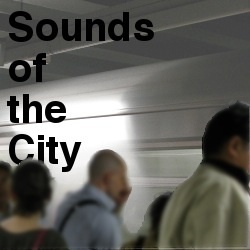 His latest research project focuses on recordings, musicians, listeners and the public sphere. His website is timjanderson.weebly.com and he can be contacted at tjanders@odu.edu.